"I believe in God the Father, Almighty, Maker of heaven and earth." This six-session study, based on Alister McGrath's book I Believe, introduces us to the Apostles' Creed and the essential truths about God the Father, the person and work of Jesus Christ, and the Holy Spirit. Christians indeed trust in God, and the basics of our faith have remained the same for centuries. These truths are summarized in historic church documents known as creeds. 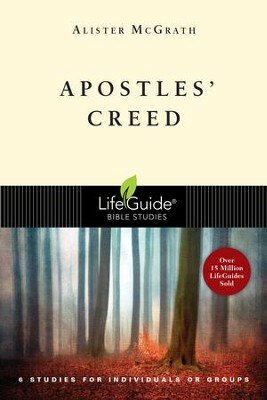 The Apostles' Creed is an ideal starting point for this vital process of consolidating our grasp of the faith. Alister McGrath (DPhil, DD, Oxford University) is the Andreas Idreos Professor of Science and Religion at Oxford University. He previously held the chair of theology, ministry and education and was head of the Centre for Theology, Religion & Culture at King's College, London. He is in constant demand as a speaker at conferences throughout the world and is the author of many books including and . I'm the author/artist and I want to review Apostles' Creed - eBook.